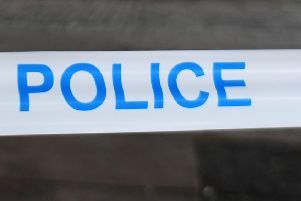 Following a suspicious fire at the former Stobhill hospital building on Tuesday, July 31, Police Scotland has now confirmed that two males, aged 14 and 15, have been arrested and charged in connection with the incident. Around 6.20pm, police were made aware of a fire at the old Stobhill Hospital on Balornock Road Glasgow. The fire was so severe at its height that it took 10 fire appliances and over 100 firefighters to bring it under control. A report has been forwarded to the Scottish Children’s Reporter Administration for consideration.